When your dog is a member of your family, a visit to friends or relatives just isn't the same without them. But asking your hosts if Fido is invited too can feel awkward—especially if you don't know for sure how an overnight trip with him will go. 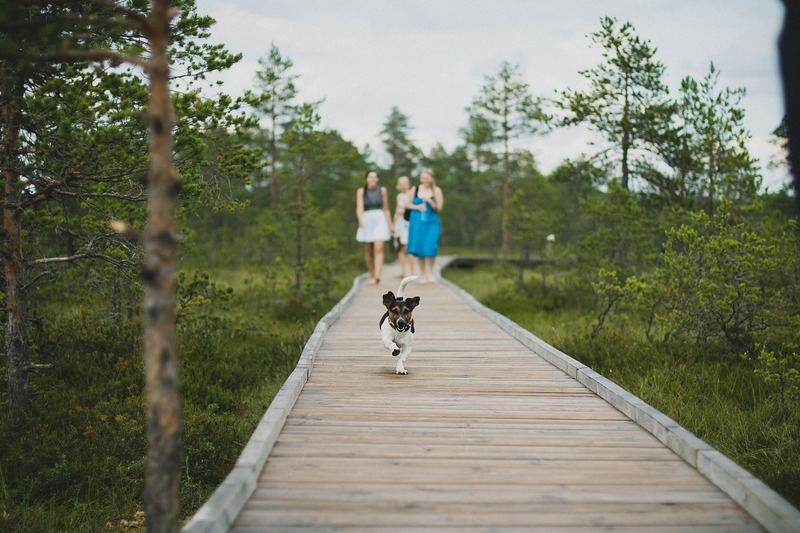 The best way to assure your host that bringing your dog along will be fun for everyone is to make sure your pup is well prepared for the visit. Certified professional dog trainer Julie Jacobus shares with us ways to prep your pooch for an overnight trip. No matter how much you want to travel with your dog, Jacobus says the most important thing is to honestly evaluate whether or not your dog wants to travel. Is she anxious by nature? How does she react to new environments, other pets, or children? 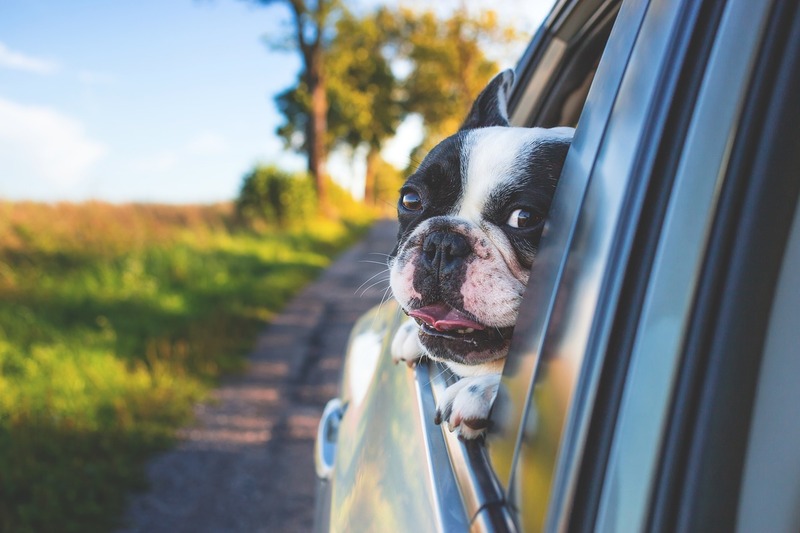 "While we all want our dogs to travel with us, if your dog is uncomfortable or anxious in any of these situations, it may be kinder to use a pet sitter or boarding facility," she advises. Is your dog eager to travel? Your dog will be happiest (and therefore more predictable) if he has reminders of home along for the ride. If your dog uses a crate, bring it with you, Jacobus says. This gives your dog a safe, familiar place that's all his own, no matter where you are. It's useful if you need to leave your dog at your host's house while you go to the restaurant or movies. Familiar smells are important to making your dog feel at home, too. "Bring their pet bed or blankets that smell like your home—don't wash them first," Jacobus says. "Make sure to also pack their usual walking leash and harness." If your host has dogs, it might seem easier to just feed your pup whatever food they have during your stay. But that could lead to regrets. "Always bring your dog's food and treats," Jacobus says. "A sudden change in diet, as well as stress, can lead to bad tummy upsets, resulting in vomiting and/or diarrhea." Stick with what your dog's belly knows—and loves. If he enjoys Nature's Recipe® Adult Lamb Meal & Rice Recipe, for example, put as many servings as you'll need in a bag and tote it along. Your dog may love every new friend at the dog park, but meeting in someone's home is different. Each encounter, environment and dog can make your pet react differently, Jacobus says. Start out with a controlled meet. Take your dog for a walk on a leash and have your host walk his dog on a leash parallel to you. If they're enjoying each other's company, let your dogs greet each other in your host's front yard. Move on to the back yard before venturing into the house. You can even keep the leash on your dogs while they're first inside, so you can remove the dogs quickly if they start getting aggressive. Using the leash is good for dog-and-cat meetings too. "Many dogs that are unfamiliar with cats may think they are prey animals, so always exercise extra caution during the initial introduction," Jacobus says. And have a backup plan. Decide in advance how you'll proceed if the meeting doesn't end well. Perhaps one dog can visit a nearby boarding facility, or, if the home is large enough, they can remain happily separated during the stay. One of the biggest challenges for a dog in a new environment can be children—especially if your dog isn't used to being around them. Kids tend to interact with pets differently than adults, which can be intimidating to dogs. The best remedy? Get a childless pup used to children in advance of a trip. While out and about with your dog, if kids ask to pet him, and their parents agree, ask them to toss your pup a treat. Your dog will think children make great things happen! You can also use the leash as a safety line, just like you do when introducing pets. And crate training your dog can be a big help. Ask your host to talk to their children about treating your dog with respect, and teach them that the crate is your dog's safe space.